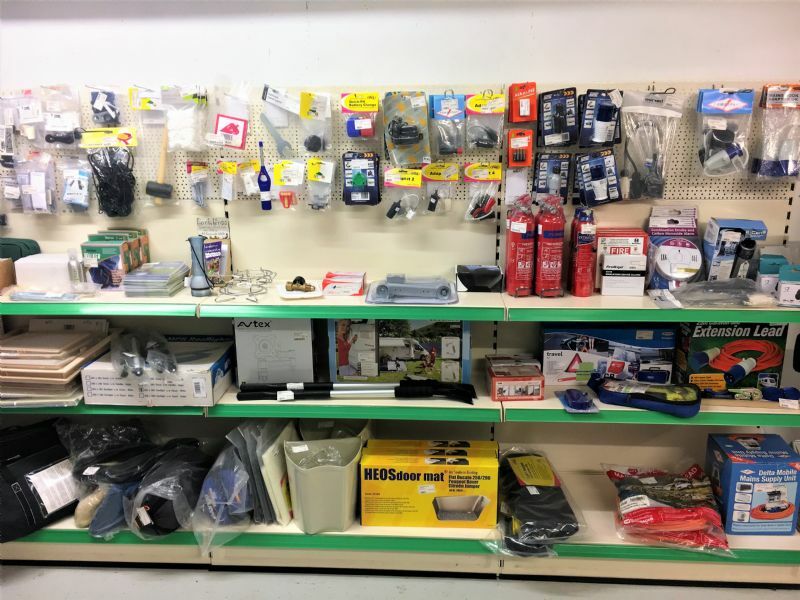 Highland Campervans has a useful on site accessories shop, serving the needs of campervan, motorhome and caravan owners in the Highlands. 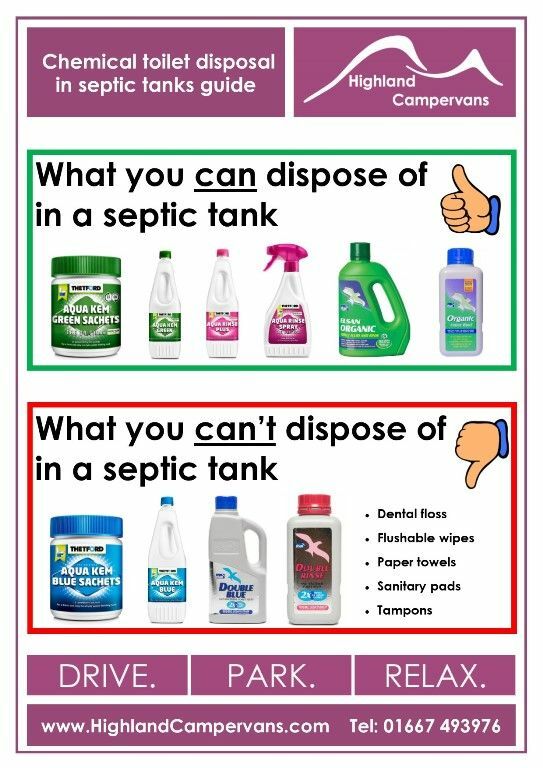 If you are making a special trip to come and see us, please call 01667 493976 in advance to check opening times during winter. 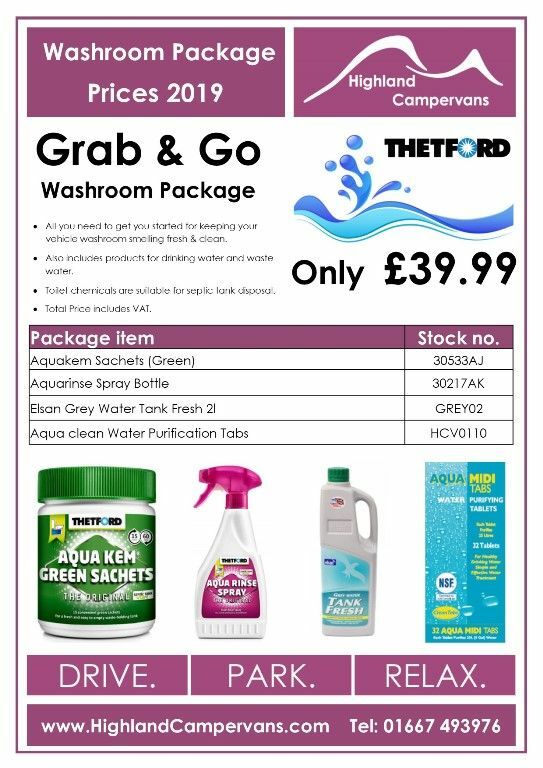 We have the widest range and cheapest prices of Thetford toilet chemicals locally and not fogetting our fantastic "Grab and Go" offer! 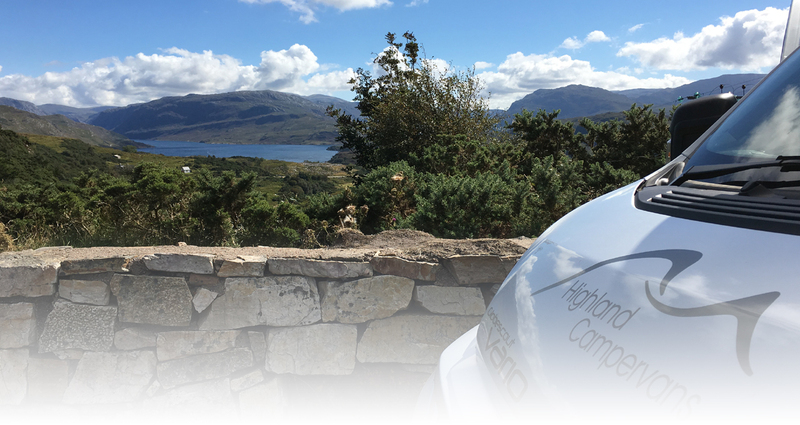 Highland Campervans have developed excellent links with some of the best suppliers and manufacturers in the leisure industry. 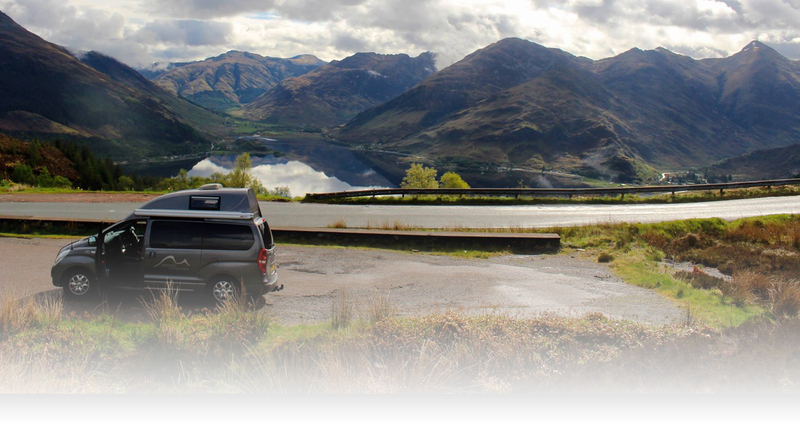 We stock a wide variety of Thule products, from the Thule Euroclassic 929 G6 bike carrier which allows campervan tailgate doors to open even with bikes loaded, to Thule roof boxes and Thule ski-racks. 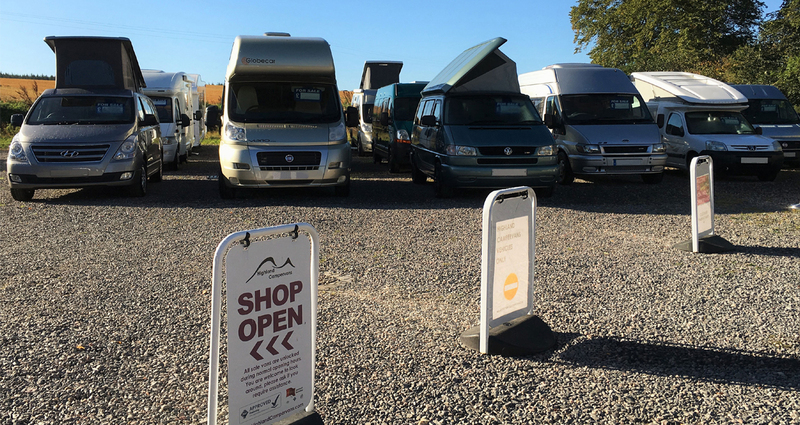 We can also order any Thule-Omnistor products with quick delivery times, such as motorhome bike racks, awnings and accessories. 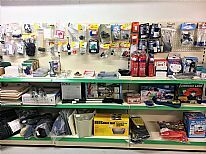 Our shop carries a wide variety of Truma products from larger Truma heaters, to tiny Truma o'rings. 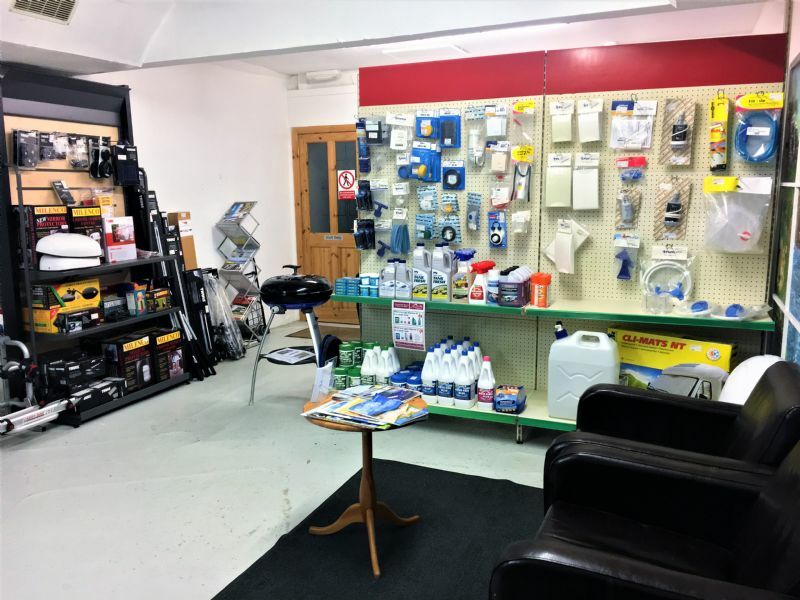 We are Truma's most northerly retail dealer in the UK and offer a well-stocked selection of products. We can also supply and fit most Truma products, including motor movers (along with other well-known brands) and Drive-Safe Gas Systems. 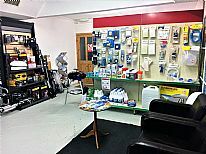 Many items are held in stock or can be ordered and available here within 10 working days. 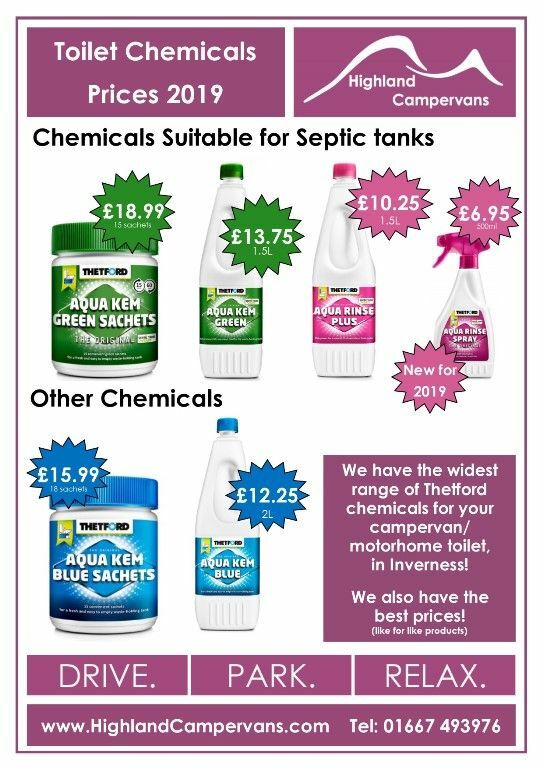 Contact us on shop@highlandcampervans.com or 01667 493976 to enquire about stock availability and our latest prices.